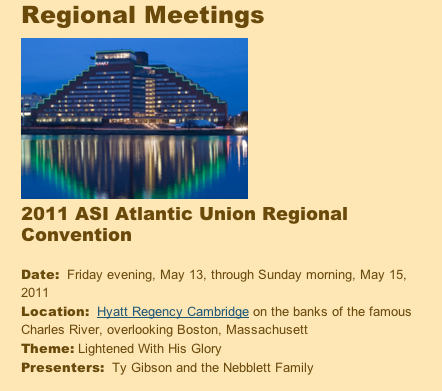 Join us in praying for the outpouring of the Spirit on the ASI Atlantic Union Regional Convention upcoming in Boston. We're excited about what we know by faith the Lord will do as His servants come together to seek Him. If you're in the area on Sabbath, May 14 we would love to see you there!